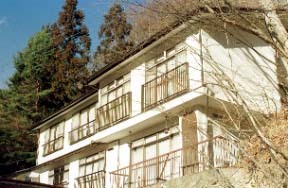 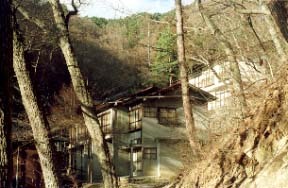 The back built in the four-quarters nature for on foot 3 minutes from the masutomi-radium deepest part and a parking lot is a new building. 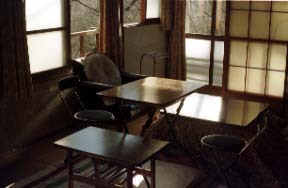 The calm guest room in nature and a Touji are enjoyed. 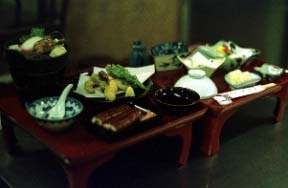 A dish is seven articles, such as an eel, tempura, and sliced raw fish, on that day which is replaced every day. 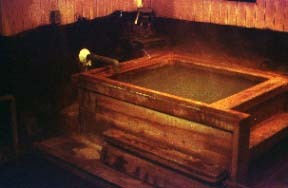 Two bathtubs of the inner bath of mixed bathing, a souce of spring, and a heating tell an enough, and a sludge tells the abundance of an ingredient.